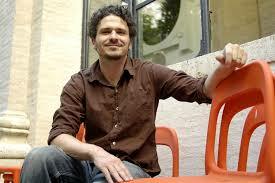 Dave Eggers has long been one of my favorite American writers. His innovative, funny and moving memoir, A Heartbreaking Work of Staggering Genius, was a finalist for the Pulitzer. His first novel, You Shall Know Our Velocity, was about an attempt to give money to deserving people around the globe. His second novel – What is the What: The Autobiography of Valentino Achak Deng – was a finalist for the National Book Critics Circle Award for Fiction. He wrote the screenplay for Where The Wild Things Are. He’s founded magazines in print and on-line, chronicled injustice in nonfiction, and even founded scholarship programs. I’m not writing about any that. 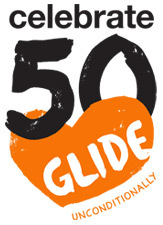 I came to Glide after almost three months on the road, much of it a journey not only across America, but at least a little deeper into efforts to help those in poverty. In that limited voluntourist way, I’d worked with the homeless in Tucson and Santa Barbara before I even got to San Francisco. Just whistle stops, but enough to make an impression. In all that time, working alongside veterans, I got marginally more at ease with relating to the homeless moving through the food line; I could joke and make conversation matter-of-factly. Yet as I cracked open Beyond The Possible, I knew I was still just working on the homeless part. And here Eggers was, reminding me that once I got past all the fears waiting to ambush me from somewhere in my white middle-class subconscious, once I got past the popular prejudices that the homeless are all mentally ill drug addicts and/or alcoholics who reek of the streets, once I got past the fact that the particular person I was handing a food tray to might be all of those things, and nonetheless still worthy of respect and kindness, once I got past ALL of that – well, then, I was going to have to turn around and love an insensitive, entitled person who hadn’t learned any of those lessons and didn’t care to learn any of them, and who, seemingly secure in their willful ignorance, would happily slash funding for the programs where I volunteered. Eggers is right. Unconditional love is a tall order. I don’t think anyone I know would say they’ve even come close, even for a single day.